Honestly, what happened to Lonely The Brave? A couple of years ago in the lead-up to their debut The Day’s War (one of the best albums of 2014), they were the press’s darlings, raking in coverage left, right and centre. But since then, the fickleness of the mainstream media has really shone through, given how Lonely The Brave have essentially been dropped. Things Will Matter shows exactly why this is such a ludicrous proposition, and the perfect example of why ‘sophomore slump’ is most certainly not in this band’s vocabulary. The main selling point of Lonely The Brave comes in their enrapturing, grittily realistic nature, and Things Will Matter has that in spades. Musically, there isn’t a great deal of progression or inclusion of outside influences not featured on The Day’s War, but this album finds its appeal in scale and heart alone. And of course, their main asset in this department is David Jakes’ vocals. Granted, his weathered howls don’t pack in as much concentrated intensity as their debut, but it’s still a vast amount more than we’ve become accustomed to with other melodic, British rock bands. Black Mire sweeps through passages of contemplative grit and searing bombast with the force of a runaway train, while Diamond Days sees the Pearl Jam comparisons reaching their upper limit with Jakes’ powerful range. It’s not all entirely perfect on this front – the vocals on the more immediate Radar sound slightly strained as they try and keep up with the more forceful instrumentals – but there’s a charm that resides in these imperfections. As on The Day’s War, Lonely The Brave have gone for the more earthy, raw end of alt-rock, with the talent on display being theirs and theirs alone. And it really is the band who tie everything together. Jakes’ vocals may be the album’s emotional nucleus, but it’s the rest of the band that make Things Will Matter a real force of nature. There’s a mastery of nuance present all the way through this album, like the beautiful grandeur of Dust & Bones, or the slow-burning, Deftones-style meander of Tank Wave which sounds absolutely gorgeous. And while Lonely The Brave undoubtedly fly with their more expansive tracks, it’s the moments on this album where they pick things up a bit that highlights how important the unit of the band is. On the likes of Rattlesnakes or Strange Like I, there are no real individual parts that stand out, but they succeed in the way that each element perfectly comes together. It’s this inter-band synergy that makes Things Will Matter truly impressive – it’s an album that completely avoids flash altogether, but is elevated in the way that each band member plays off each other in a way that is consistently immersive and compelling. Compelling is probably the best thing that a Lonely The Brave album can be as well, as Things Will Matter takes some time to really unravel itself. There’s very little immediacy present (Strange Like I has the only hook that can really be described as ‘catchy’), but it’s the way in which this album unfurls it’s secret over time that makes it a cut above the rest. In a time where a short, sharp blast is seen as the most effective way of getting things done, Lonely The Brave have played the long game with an album that takes multiple intensive listens for it to properly reveal itself. The dense atmosphere of the instrumentally sparse opener Wait In The Car makes this apparent from the off, and it’s a trait that continues throughout the album’s 50-minute runtime. That Boxes is the weakest track with its relative lack of standout features (but even then it’s really not that bad) speaks volumes about how well this more considered approach works. But then we get to Jaws Of Hell, the album’s closer and the moment where Lonely The Brave execute their formula absolutely perfectly. It’s another slow-burner with glistening instrumentation and breathy vocals, but frequently drops into passages that border on post-rock, and bring everything together in a beautifully epic build. It’s a bold move to make, but one that is pulled off with the exact amount of gusto and bleeding heart rawness that is needed. Perhaps that’s why Lonely The Brave seem to have been recalled from the press wagon. Albums like Things Will Matter show them as a band with far more to offer than the typical mainstream rock crop, and they do it with the onus directly on intensity. This is an album that is all the better for its slow-burning nature, and one that knows how to make it satisfying. But most of all, Things Will Matter is an album that affirms that Lonely The Brave are anything but a spent force. It may just fall shy of their debut, but it has the exact sort of power and heart that makes this band truly special. 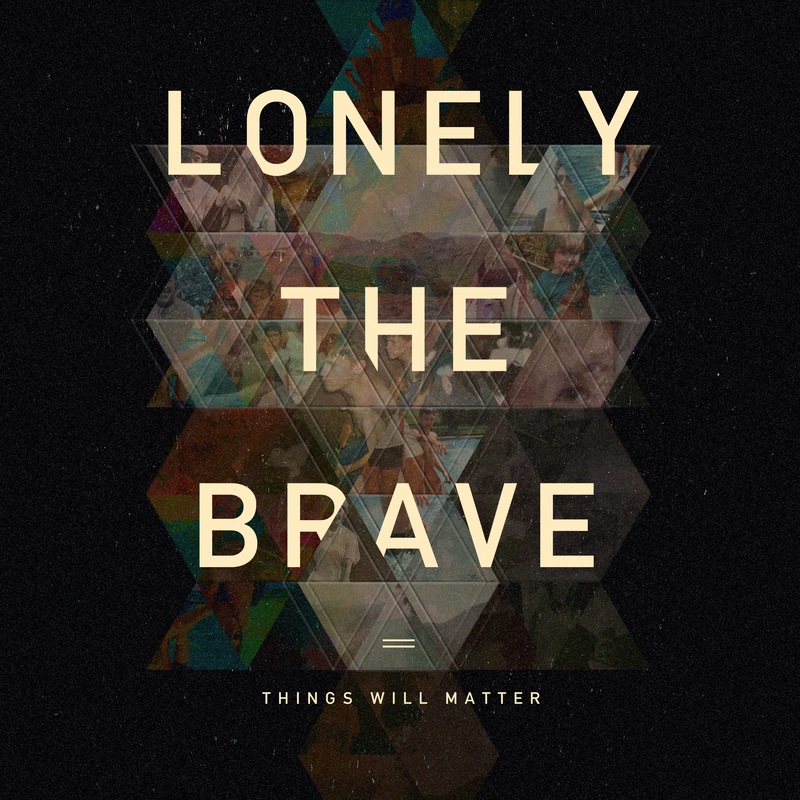 ‘Things Will Matter’ by Lonely The Brave is out now on Hassle Records.